I am finding marigold flowers nibbled on. Also, the flowers from the petunias from the front yard are being found in the backyard. I haven't seen any other critters around. Awwww, how cute! 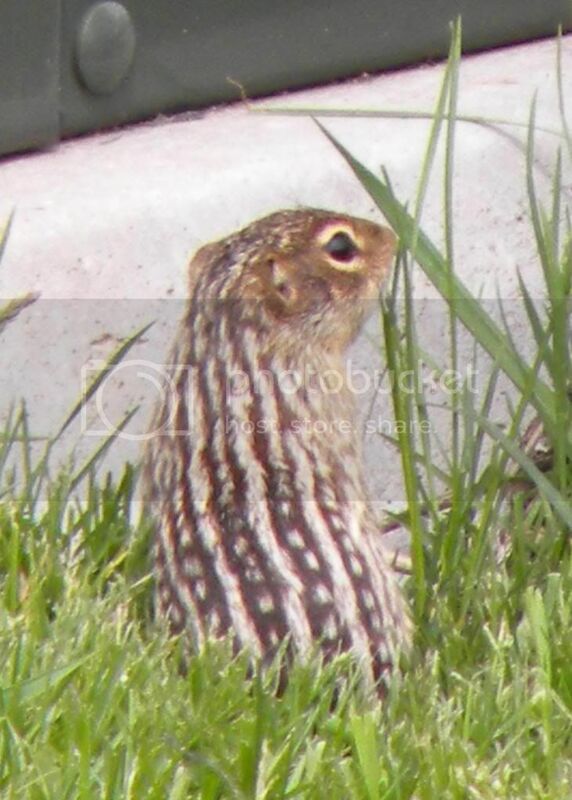 A Thirteen-lined ground squirrel! Nice picture of it, too! Thirteen-lined ground squirrels are omnivorous. At least 50% of their diet is animal matter Ã¢â‚¬â€ grasshoppers, wireworms, caterpillars, beetles, cutworms, ants, insect eggs, mice, earthworms, small birds, and each other. The vegetative portion of the diet includes seeds, green shoots, flower heads, roots, vegetables, fruits, and cereal grains. Nicely done, Kisal! Great call! Thanks! I knew what he was. I just thought he would be more of a seed eater. Any thoughts on repelling him from the flowers? He lives under the electrical box in the neighbor's yard and I think they've been feeding him. A live trap is what I would use. Release the little thing in a place that offers lots of his/her preferred foods. Maybe you could use one of those hot-pepper based sprays on the plants it likes to eat and/or maintaining a sacrificial bed of flowers for it TO eat? I 've never seen one of those before. Thanks for posting the pictures. They cache food for the winter. I'm not so sure that giving it its own private garden would necessarily keep them away from the rest of the goodies. I don't have squirrels per say but the rabbits I believe are eating my flower tops, onions as well. He is a cute little guy though. We've decided to try and trap them. They are multiplying!! 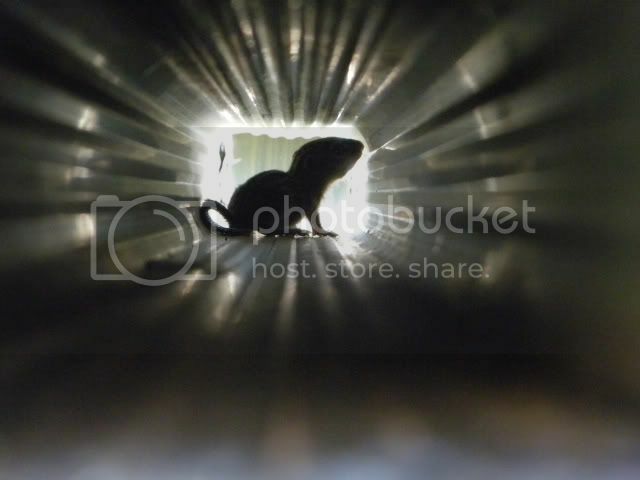 Where would be the best place to put a trap - by their hole, by the flowers they like to eat, by the gutters they hang out in?? What should be used for bait? something's eating my petunias and I know what it is! Planted my Petunias less then a week ago then this! What is going on with my marigolds?